Do You Drink Protein Supplements? READ THIS! 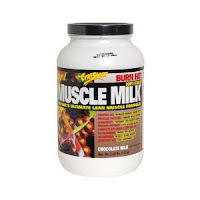 The three products were Muscle Milk chocolate and vanilla powder and EAS Myoplex Original. Back in May of 2008 I did a post on how to taper for a marathon (The Taper), citing research that recommended reducing weekly miles by 75%- 50%-30%-15% over 4 weeks, doing pretty much nothing the last week other than a progressive decrease in the number of high intensity intervals. There is more. According to Owen Anderson, a 150 second all out effort followed by a 30 second all out sprint THE DAY BEFORE YOUR MARATHON causes your muscles to quickly supercompensate with glycogen so you are ready to go by race time (it goes without saying you need a high carbohyadrate diet for this to work) Glycogen without glucose gluttony: your new carb strategy for optimum performance. 3 weeks before race: Do 75 percent of normal "midseason" training. Eliminate most medium-hard runs. Do usual interval training. Last week before race: Do 50 percent of normal training. Eliminate virtually all medium-hard runs. Do 50 percent of usual interval training. Trappe warns that runners have a tendency to do more tempo runs when they cut miles because they feel so fresh (I will attest that is 100% accurate! )- he recommends cutting those hard miles out so that you only do easy miles mixed in with your interval workout. I wonder what percentage of marathoners actually DO intervals? If you follow the 3-day a week plan recommended by Run Less Run Faster, than I guess that means you'll either drop the tempo day or substitute a short interval workout. Like anything else, it's trial and error, and don't try anything before a race that you haven't experimented with before. Chris Solinsky in Sports Illustrated! Need some inspiration? Check out the article on Solinsky by Tim Layden of Sports Illustrated. My old college teammate, Donn Behnke, who coached Solinsky in high school, is even quoted! I love it anytime runners gain national exposure, and Solinsky is deserving as anyone. What an amazing athlete! What do you do with your old running shoes? Check out SHOE4AFRICA - they are looking for used running shoes - and yours could end up on the feet of the next great Kenyan marathoner. Eccentric Calf Exercise- A Must for Runners! When talking about running and exercises to improve performance or reduce risk of injury, more often than not it's the hamstrings and quads that are mentioned. I tried this exercise using just one foot to raise and lower my body weight and found there was no way I was even strong enough to perform the recommended 2 sets of 8-10! So now I am practicing what you see on the video- using both feet to elevate, and one foot to lower my weight, focusing on the eccentric phase. This is an excellent exercise for runners with achilles and calf problems, and I also believe it can help with heel pain and shin splints. You can take this exercise to a new level by holding dumbbells or using a calf raise machine at your local gym. Who knows, you may even run faster! Check out the impressive results for achilles tendinitis! At week 0, all patients had Achilles tendon pain not allowing running activity, and there was significantly lower eccentric and concentric calf muscle strength on the injured compared with the noninjured side. After the 12-week training period, all 15 patients were back at their preinjury levels with full running activity -Rehab for Chronic Achilles Tendinitis. Has Nu Skin found the answer to healthy aging? 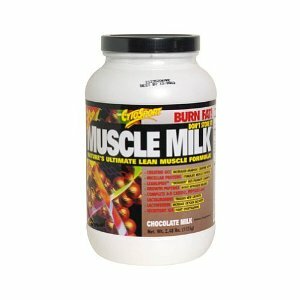 If so, this would be a phenomenal product for masters athletes. I'd love to see further independent research! According to the e-mail I received from Nu Skin, this new ageLOC product will be introduced in October. If you're not familiar with Nu Skin, they are a direct marketing company that generated $364.1 million in sales the first quarter of 2010. I like their products, and currently take the Pharmanex Lifepak Prime anti-aging supplement (I bought 3 boxes on ebay). 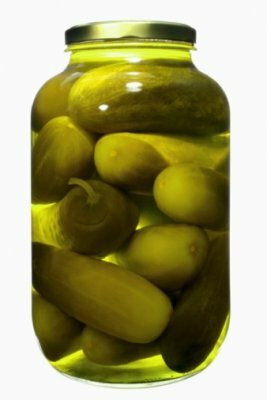 I confess that I didn't know anything about pickle juice as a remedy for muscle cramps. Who knew? Run Less Run Faster may be the answer if you are not sure how to prepare for your next marathon. Authors Bill Pierce, Scott Murr, and Ray Moss have come up with a marathon training plan that requires just 3 runs a week- with a catch. These are not junk miles. Be prepared to do one long run, one tempo run, and one interval workout. The Furman Institute of Running and Scientific Training (FIRST) has complied some compelling evidence that their program works, measuring improved physiological data and race times in several groups of runners that were put on the program over that last several years. There is another catch- the FIRST training program is also called 3plus2, meaning you must also cross train 2 sessions each week. The FIRST 3plus2 marathon training program makes perfect sense- as described in the book the 3 workouts "are designed to work together to improve endurance, lactate-threshold running pace, and leg speed. You run each workout at a higher intensity than you are probably used to, however you get at least one day off in between allowing ample recovery. What I also like about the book are the tables that tell you what pace to run each workout based on your 5K times, plus 16-week training programs for each of the age-group Boston marathon qualifiying times. If daily training is running you down, I'd take a serious look at Run Less Run Faster, especially if you are injury prone or over 50 and still have a burning desire to challenge yourself. As they say in the book, "train with a purpose." Twenty six year old American Nick Arciniaga finished 3rd in the San Diego Rock and Roll Marathon with a 2:11:47! Nick, formerly of the Hansons-Brooks Distance Project, moved to Flagstaff and now runs for McMillan Elite. It's not like Nick has come out of nowhere- he placed 7th at the US Champs Houston Half Marathon in 1:03:22 and 8th in the 2009 NYC Marathon in 2:13:46 (see his finish on YouTube). Flotrack interview with Nick Arciniaga prior to the NY City Half Marathon where he ran 1:03 for 15th. Note that in the interview (done in March), he mentions it's the end of his season and he will be planning a fall marathon. I guess Greg McMillan changed his mind. Good to see the increasing number of Americans running close to the 2:10 range! Note: Nick has a fan page on Facebook. With all due respect to this expert exercise physiologist's opinion, her advice on the importance of taking in electolytes during marathons and long runs is not accepted by everyone. 1. If you don't drink at all, your blood sodium level doesn't fall, it RISES! 2. If you replace 50% of your sweat losses with plain water in the same run, your blood sodium concentration remains in the normal range. 3. If you replace 100% of your sweat losses with plain water (2 liters in 2 hours- 1 liter is approx. 1 quart), your sodium concentration falls dangerously low, leading to hyponatremia. 4. If you replace 50% of your sweat losses with Gatorade, the result is comparable to the water trial. 5. If you replace 100% of your sweat losses with Gatorade, again the result is not much different- a 4 hour marathoner will likely end up in the hospital with hyponatremia. Interesting that Hall believes adding salt to his drink helps him retain more fluid in hot weather. I wonder why he thinks that's not as important on a cool day? While you certainly need fluid replacement during a long hot run, be careful not to over drink. Practice by weighing yourself before and after, and note that while losing a few pounds is normal, any gain is not! As for Gatorade during a long run, the calories are what you need, not necessarily the electrolytes. I love the Science of Sport blog!